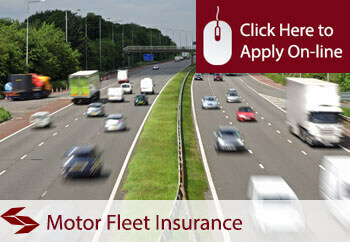 Motor Fleet Insurance is motor insurance for motor fleet operators. The Motor Fleet Insurance policy is designed to cater for all vehicles in a fleet under a single policy. Each insurer has its own minimum number of vehicles to become eligible for their fleet product, but some insurers start from as few as two vehicles. The basic insurance provided is the legal minimum as required by the Road Traffic Act, but the levels of cover offered follow the same format as other motor insurances, i.e. Third Party Only, Third Party, Fire and Theft and Comprehensive. Mixed cover is available under a Motor Fleet Insurance policy, i.e. vehicles having different cover levels under the same policy. The limit of indemnity for third party injury is unlimited for all vehicles, but the limit of indemnity for third party property damage for goods carrying vehicles and special types is usually between £1,000,000 and £5,000,000 which is lower than given to the cars. Higher limits for third party property damage may be required, e.g. for the carriage of hazardous goods, and higher limits are available via Excess Liability Insurance in the general liability market. Cover for loss or damage to own vehicles is restricted to the lesser of the cost of repairs or the market value of the vehicle. The goods carrying vehicles will only be covered for the use of carriage of own goods only, unless there is a specific request to cover the use of carriage of goods for hire or reward, e.g. haulage and couriers. Motor Fleet Insurance does not cover damage to the goods being carried, as this is covered by transit insurance. There is large market for Motor Fleet Insurance with insurers’ appetite largely influenced by size and composition of the fleet, profile of drivers, type of goods carried and claims experience.